Taste Trunk Review & Coupon – BBQ Subscription Box! Taste Trunk is definitely one of my favorite new food subscription boxes – the products, value, and presentation are all equally impressive! If you are new to Taste Trunk, they offer 4 different box subscriptions: Gourmet, Health, Sweet and BBQ. I received all of the 4 boxes in July. (I bought two and Taste Trunk sent me the other two to try!) I’ve reviewed the Gourmet Trunk so far, and this review is of the BBQ Trunk. (Taste Trunk kindly sent me the BBQ box to review). As I mentioned, the presentation is great. These boxes are so much fun to unwrap. And they will be high on my list of gift ideas for subscription boxes in the Holiday season! COUPON: Use coupon code subscriptionaddiction25 to save $7.25 off your first box! These cedar planks smell so good – and we just used our last plank from the Bespoke ‘Cue box, so this was definitely perfect timing. (Each box also includes cards with recipe ideas, history of the brands included, and other fun information). I love that this spice rub is made with organic ingredients – they recommend it on chicken and sweet potatoes – sounds great to me! And, we’re not big into Salmon, but considering the ingredients of this marinade are just lemon juice, basil, garlic and black pepper, I think it will work on a lot of non-fish dishes too! Of course, no BBQ Trunk could be complete with out some BBQ sauce! We have quite a collection of BBQ sauces now thanks to subscription boxes – but no complaints here! Verdict: This box had a value of over $38, and everything included was a high-quality gourmet item. You can really tell a lot of thought goes into the items they select each month – I love it! One other thing I’ve been impressed with so far: almost all the Taste Trunk items I’ve received have natural and organic ingredients – a great extra bonus in my opinion! Do you subscribe to the Taste Trunk? Which boxes do you recommend? I really hope you are going to get the August box – if I am impressed it may be a new subscription. I live in Memphis and we are obsessed with BBQ. Since I will be moving to Louisville next year I have pretty much convinced my BF that knowing how to Barbeque properly is a must. I am unfamiliar with grilling planks. Are these a one time use or can you reuse them? This looks like a great sub box! I’m definitely not a grilling plank expert, so I could be wrong, but we’ve been assuming they are one-time use only. Thanks! ps…my credit card company loves you! Just received my first Sweet Taste Trunk and I loved it! As you said, the presentation is amazing with the old-timey paper and sack the description cards and caramels were wrapped in, respectively. Love the seal on the box too. Got some Prickly Pear Cactus and Margarita candy, an amazing-looking jar of sea salt caramel, a whole bag of choc/almond and caramel/almond caramels, a peanut butter protein cookie, and a chocolate/coconut cupcake mix. So far, everything has been very tasty and unique. 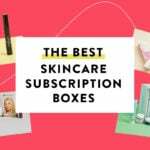 Would definitely recommend this subscription box! just ordered my frist box .can’t wait to get.